Hello! 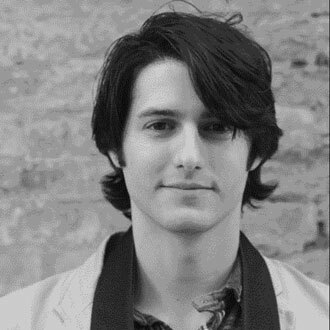 I am Matt Horvath of Pack Films. I started out in video as many start - without a plan! As an 18-year-old with no particular interests beyond sports and video games, I thought that video or photography sounded like a fun career when choosing my major in college. Little did I know that I actually managed to select something that clicked with me. I had barely picked up a camera, and I started at the bottom with the basics of learning still photography. A few years later I managed to land an internship at a video production company in Nashville that was owned by AOL (they still exist! who knew? ), and that developed into my first full-time job producing and coordinating projects. My goal being to shoot and edit myself, I kept creating admittedly not the best work on the side, and I eventually secured a job at another production company as a shooter/editor. My skillset grew tremendously and my responsibilities expanded into directing corporate and commercial projects, and hundreds of interviews later, I left that position to found Pack Films in 2016, and haven’t looked back. Pack Films is a production company with a focus on keeping crews size small, project timelines long, and bringing a story-driven, doc-style approach to brands. The Nikon DSLRs are a holdover from my still photography focus. They were great to learn on, but with technology changing they’ve really been eclipsed by mirrorless cameras like the Sony A7sII and Panasonic GH5, so I avoid using the Nikons except for weddings. When I decided it was time to get a more feature-packed camera with internal NDs, XLR inputs, and the like, the Sony FS5 was a great choice. Most often I am running and gunning, and I love the size and weight of the camera. The stepless ND filter is amazing and has changed the way I shoot exteriors (cloud come through and block the sun? no problem). It has internal 8-bit 4k, 10-bit 1080, and a raw upgrade path that really future-proofs the camera when using an external recorder. We are glad to hear Matt decided on a "full size" cinema camera like the FS5, rather than a Sony A7SII or Panasonic GH5 for his primary camera. We say "full size" but really the FS5 is about as small as you can get for a cinema camera with the scope of its features. 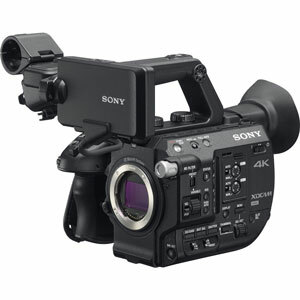 The sony FS5 is on the same plane as the Canon C100, in terms of size, price, features, and being smaller brother to the larger FS7 and C300 cams. And when choosing cameras on a similar plane, it really comes down to features and personal preference. Matt's love of the electronic ND is one reason many videographers have come to love the FS5. As you can see, a lot of stills lenses. Luckily, Nikon makes some great glass. I have an interesting opinion on lenses - for what I do, I value light weight and portability over a little bit of speed, and it can be more cost effective to boot. My favorite run and gun lens is the 17-35mm 2.8D. Using the speedbooster, it becomes a 17-35 f2, and with the clear image zoom of the FS5 to extend the long end of that range it’s very versatile. This is also my go-to lens for gimbal work. I also enjoy using the 85mm 1.8G. The focus ring has a great feel to it, and bokeh is stellar on this lens. Fantastic for interviews. 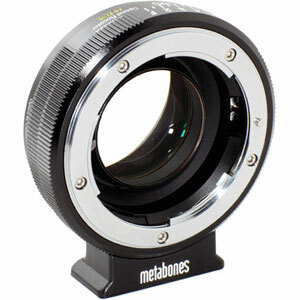 While we admit we don't know much about Nikon lenses - too many years of buying up Canon glass is hard to reverse - we do very much like the Metabones Speed Booster. Like Matt says, the Metabones Speed Booster, combined with the FS5 "Clear Image Zoom" - essentially digital sensor zoom, but without much loss of quality - turns any lens into a super lens on the FS5. For example, we used the popular Canon 24-105mm f/4 on our FS5 when we had it, combined with the 0.7X Speed Booster. It made the effective lens range 17-146mm at f/2.8 IS. That's enough lens reach and low-light to satisfy most shooting needs! The Aputure Deity is a great shotgun. It’s a reasonable size and weight, the audio quality is clean, and the build quality is excellent. I haven’t put the waterproofing to the test (and hopefully won’t have to) but I like the feature. I’m also a big fan of the Sennheiser AVX system. I’ve used Sennheiser G3 lav packs many times, and maybe I’m just unlucky but I always run into interference issues. The AVX just works: you just turn on the transmitter and receiver and go. The receiver’s design is streamlined too as one lightweight piece with no wires. The Tascam DR-40 gets the job done. Just a solid no-frills handy recorder. The Tascam ﻿﻿DR﻿﻿-05 is small enough to drop down inside a pocket, which is handy in situations where a wireless mic doesn’t make sense. Just have to keep in mind it doesn’t have an XLR input. I normally use the Giant Squid Audio Lab Lav with it, but I’m not a fan of the sound quality or the size and would buy something else next time. The LyxPro boom pole is solid for the price - it’s not carbon fiber or anything but I usually mount my boom on a stand, not handheld, so not a big deal for me. We have to admit, Matt's a little ahead of us in terms of audio. We really want to try out the Aputure Deity, as well as the Sennheiser AVX system, hopefully both in future reviews. 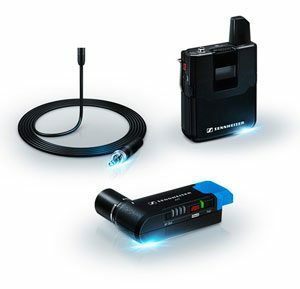 The Sennheiser AVX system does indeed look like the perfect solution for on-the-go filmmaking in a small package. There are many small wireless transmitters out there, but often the receivers that go on your camera are huge. The AVX, however, is tiny. We're also really glad Matt chose the upgraded kit with the MKE-2 mic, over the standard ME4 kit lav. The MKE-2 is an industry standard that always surprises us with its quality, often sounding better than even boom mics directly over our interview subjects. I heard about the Alzo 3200 from Caleb with﻿ DSLRvideoshooter a few years ago. I haven’t seen too many other people using this light, but I’ve yet to find something that’s a better combination of build quality, output, and weight for the $$. It’s around as bright as a 400w Joker, cool to the touch, low power draw, and dimmable. The all-metal construction means that they travel really well too. I rarely point this directly at a subject; I’ll either shoot through diffusion, a chimera, or bounce off walls and ceiling. I’m all about high-output daylight balance lights. The YN600 has a lot of brightness for the price point (super cheap, like $100), and I commonly use it as a fill or hair light. I have a small softbox for it, because I’m not a fan of the look of bare LED panels. The Neweer 160 LEDs are good in a pinch as an on-camera light (though I exhaust all other options before ever doing that). In addition, I’ve used them as hair lights, and a fun fact/cool trick is that they are just the right size to fit in most lamps. Just unscrew the bulb, and the base of them will fit inside the hole. Now, you have a daylight balance practical with a dimmer. 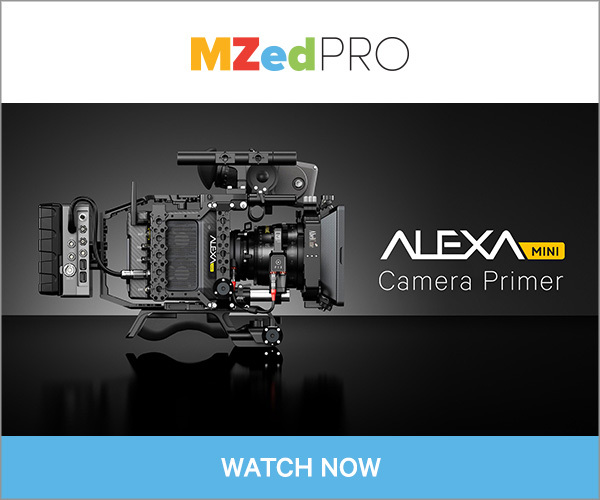 We've seen Alzo gear at NAB, and they're always a little wacky but innovative and offer a lot of gear for little cost. 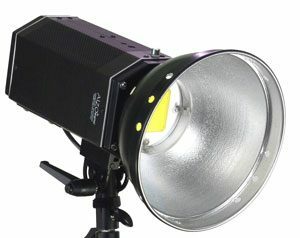 The Alzo 3200 light is a ton of output - 200W, and 13,000 lux at 1 meter - at a low price. ​High powered fresnel LEDs are entering a huge wave of popularity right now, for reasons Matt mentions - they are flexible and look really good with diffusers. The lights to watch for are powerful LED fresnels with battery powers - like the Aputure 300D which will come out later this year. Soon you'll be able to light interviews outdoors without renting Joker lights or powering loud generators, or spending a lot of money. Cinevate Duzi v3 slider 2ft. 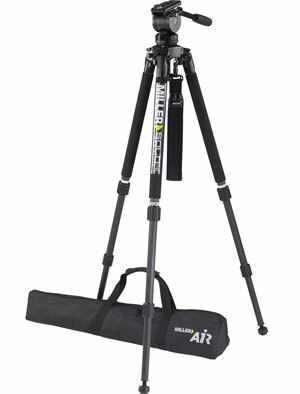 I purchased my Miller tripod secondhand, and it’s built like a tank. I don’t use it for a lot of run and gun, but when I’m capturing an event or doing teleprompter work or commercial projects it’s great. Using a true counterbalanced head makes a huge difference. I use the Manfrotto head on the Ravelli legs (the Ravelli head is terrible). This is my lightweight and travel setup, and I commonly will mount my slider directly onto the legs with head on top. I have a Cinevate Duzi v3 - I love the build quality and smoothness of the slider, but my biggest nitpick is actually the way it locks. Having also used the Rhino slider I might choose that if doing it over again, or maybe the Duzi v4 with integrated flywheel which wasn’t around when I bought mine. Big thanks to Digital Filmmaker for releasing lots of information on the Letus Helix and Helix Jr﻿﻿. ; it helped me feel prepared when I purchased my Helix Jr. I got the aluminum version and upgraded the battery and plate, and it flies my FS5 with 17-35mm lens. I love the form factor and battery life of the Helix Jr, it’s a great gimbal! Manfrotto makes a great video monopod, and I’ve used this one on many projects for years. I recently got my hands on one of their newer X-Pro monopods, and I can say it’s an improvement over my old classic so I’ll probably upgrade eventually! We agree with Matt here on many levels! First, a Miller Tripod is possibly the best tripod for a camera like Matt's FS5, or a C100, C300, and so on. It's built like a tank, but is still manageable. 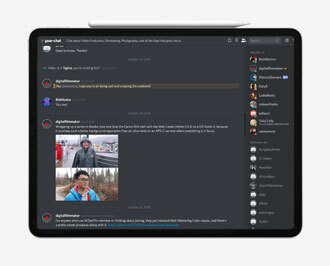 We wrote a ﻿﻿w﻿﻿hole article on the Miller Air here. Having a second tripod to beat around with is very useful, and of course the Manfrotto video monopod is a staple in many videographer's kits, including ours. Nice work on this setup! The only thing we'd recommend is upgrading to the Cinevate Duzi v4, with flywheel. It's like night and day over the previous versions, and it's on par with the Rhino but more affordable. And thanks for the shoutout on our Helix Jr. coverage, Matt! 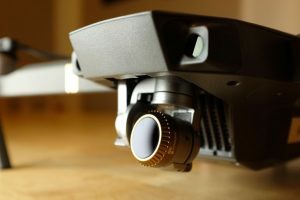 I’m new to drones! Call me behind the times. I recently picked up a Mavic, and am still in the process of learning to fly and certification. I’m super excited for this addition to my kit. I love the portability of the Mavic. We're super glad that Matt has picked up the Polar Pro ND kit immediately upon buying his first drone. It's essential. Getting certified to fly a drone legally for commercial use in the United States can be a huge PITA, but worth it. We write about our experience getting the Part 107 certification in this article. The Porta-Brace Cargo Case Camera Edition is my primary camera bag. I can fit a pre-assembled FS5 inside, eliminating the need to remove top and side handles every time I pack. Porta Brace makes good bags, and I recommend this one. The biggest perk is that turned sideways, it can fit in the overhead bin of even small hopper airplanes. I’ve been able to carry on my camera while traveling with others forced to check their Pelican 1510s. 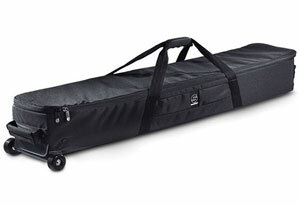 I rarely carry C Stands in my Sachtler C Stand bag. But it can hold a surprising amount of kit stands, travel tripods, etc. as long as you keep everything well padded inside so it doesn’t get damaged. Good as an airport checked bag, it is well built. I have a put a ton of miles on my Rapid Dominance Messenger Bag. When I shoot events, it’s perfect for keeping the essentials on my hip - a few lenses, extra batteries, and extra cards. I’ve used it for years and did not expect it to hold up as well as it has. The camera insert keeps my lenses protected. We're always really glad to hear what others are using for their camera and accessory bags - it's quite a personal decision! Matt has a great choice for his primary camera bag, and we're very curious about the Sachtler C Stand bag, maybe we'll get a chance to try it ourselves one day. And of course, we all like our messenger bags with camera inserts. This one looks like a really great combo! Thanks for sharing your kit, Matt! There are thousands of lenses, tripods, and video production accessories that we haven't had a chance to try yet. But many of you have, and your gear choices lead to entirely different filmmaking kits. This site's readers would greatly benefit from your input! If you would like to share your kit on this site, we'd love to help you put together a write-up, and we'll do the heavy lifting. Send us an email to get started.